Mouse FIT2 protein redirects the cytoplasmic terpene biosynthetic machinery to lipid-droplet-forming domains in the ER and this relocalization supports the efficient compartmentalization and accumulation of sesquiterpenes in plant cells. Mouse (Mus musculus) fat storage-inducing transmembrane protein 2 (MmFIT2), an endoplasmic reticulum (ER)-resident protein with an important role in lipid droplet (LD) biogenesis in mammals, can function in plant cells to promote neutral lipid compartmentalization. Surprisingly, in affinity capture experiments, the Nicotiana benthamiana 5-epi-aristolochene synthase (NbEAS), a soluble cytoplasm-localized sesquiterpene synthase, was one of the most abundant proteins that co-precipitated with GFP-tagged MmFIT2 in transient expression assays in N. benthamiana leaves. Consistent with results of pull-down experiments, the subcellular location of mCherry-tagged NbEAS was changed from the cytoplasm to the LD-forming domains in the ER, only when co-expressed with MmFIT2. Ectopic co-expression of NbEAS and MmFIT2 together with mouse diacylglycerol:acyl-CoA acyltransferase 2 (MmDGAT2) in N. benthamiana leaves substantially increased the numbers of cytoplasmic LDs and supported the accumulation of the sesquiterpenes, 5-epi-aristolochene and capsidiol, up to tenfold over levels elicited by Agrobacterium infection alone. Taken together, our results suggest that MmFIT2 recruits sesquiterpene synthetic machinery to ER subdomains involved in LD formation and that this process can enhance the efficiency of sesquiterpene biosynthesis and compartmentalization in plant cells. 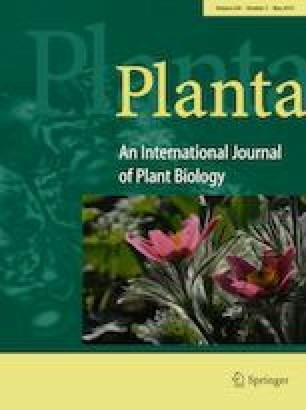 Further, MmFIT2 and MmDGAT2 represent cross-kingdom lipogenic protein factors that may be used to engineer terpene accumulation more broadly in the cytoplasm of plant vegetative tissues. The online version of this article ( https://doi.org/10.1007/s00425-019-03148-9) contains supplementary material, which is available to authorized users. This research was initiated as part of a classroom undergraduate research course, BIOL 3900, at UNT with the support of the National Science Foundation (NSF), Integrative Organismal Systems Division (IOS-1656263). Course instructors and students deserving special recognition include Dr. Ashley Cannon, Charles Anderson, Rachael Tumer, Selina Aguilar, Matthew Barker, Andre Castaneda, Jessica Cruz, Nelson Duarte, Palamandadige Fernando, Gretchen Johnson, Bilal Khoncarly, Jose Lopez, Catherine Stout, Pratheeba Thirucenthilvelan. In addition, the contributions of the spring 2017 undergraduate biochemistry laboratory at Bethel University (St. Paul, MN) directed by Dr. Angela Stoeckman, are gratefully acknowledged. The expansion of this research was supported by the US Department of Energy (DOE) Office of Science, BES-Physical Biosciences program (DE-SC0016536). We are grateful to Dr. Qing Liu (CSIRO Plant Industry) for providing the construct pORE04-P19, Dr. David Silver (Duke—National University of Singapore) for providing the construct with MmFIT2 coding sequence, Dr. Mina Aziz for assistance with GC–MS, and Douglas Whitten (Michigan State University Proteomics Core Facility) for carrying out the proteomics analysis.